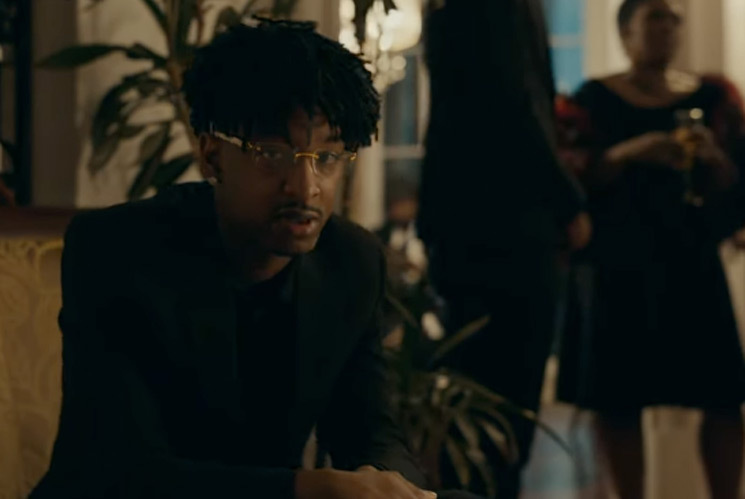 Throwing support behind the recent i am > i was, 21 Savage has unleashed a new video for the J. Cole-assisted "a lot." As you will see, the clip is a lavish one, focusing on a opulent family dinner. However, the slicked-out images are cut with some seriously dark moments, giving the entire thing a very unsettling vibe. The video was directed by Aisultan Seitov and features plenty of J. Cole screen time as well. You can watch the video for "a lot" below.